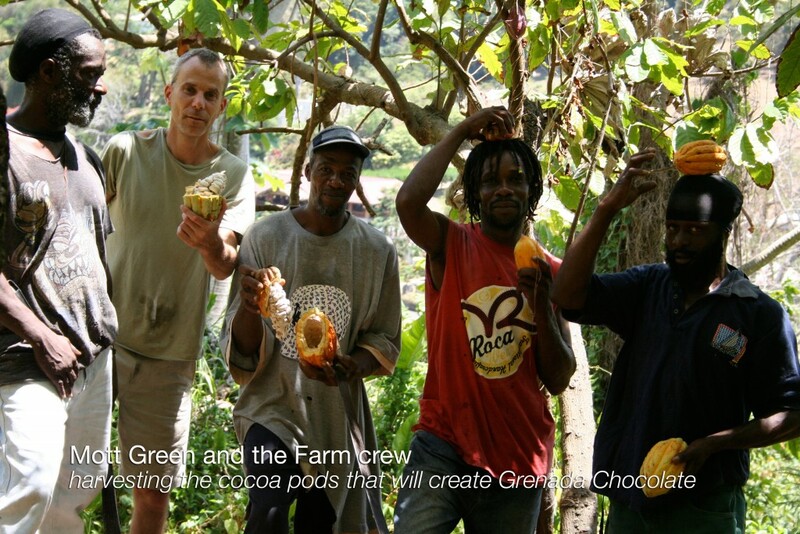 The Grenada Chocolate Company was founded in 1999 by Mott Green (born David Friedman), Doug Browne and Edmond Brown who had the idea of creating an Organic Cocoa Farmers’ and Chocolate-Makers’ Cooperative. This radical new business model created the first “Tree to Bar” chocolate this century, adding all the value to the local economy in the village of Hermitage, St Patricks. 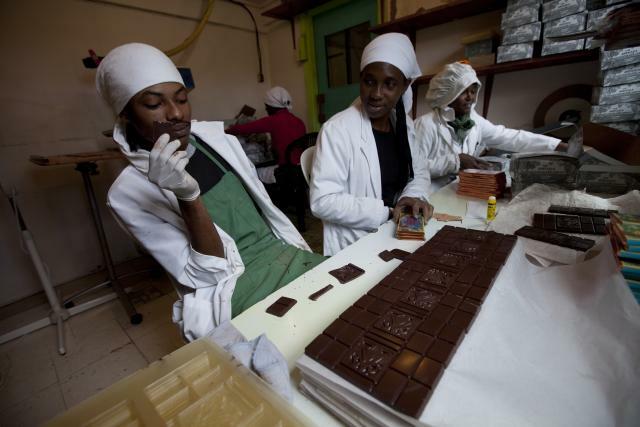 Mott Green often said “It takes a whole village to make a bar of our chocolate”; the factory produces high quality organic dark chocolate in Grenada using the world famous Trinitario cocoa beans that grow right on their own doorstep. 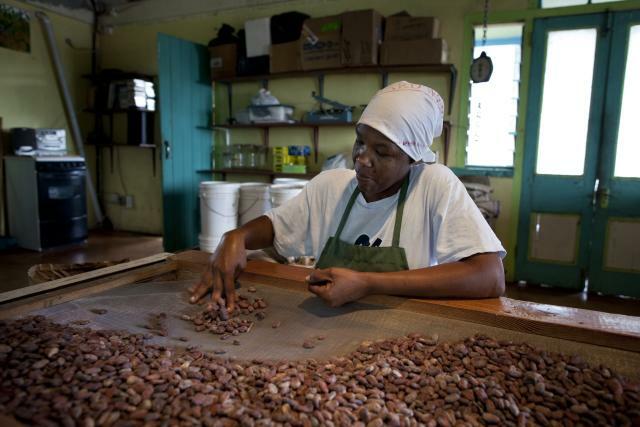 The chocolate factory is nestled in lush cocoa groves in Grenada’s pristine rainforest. 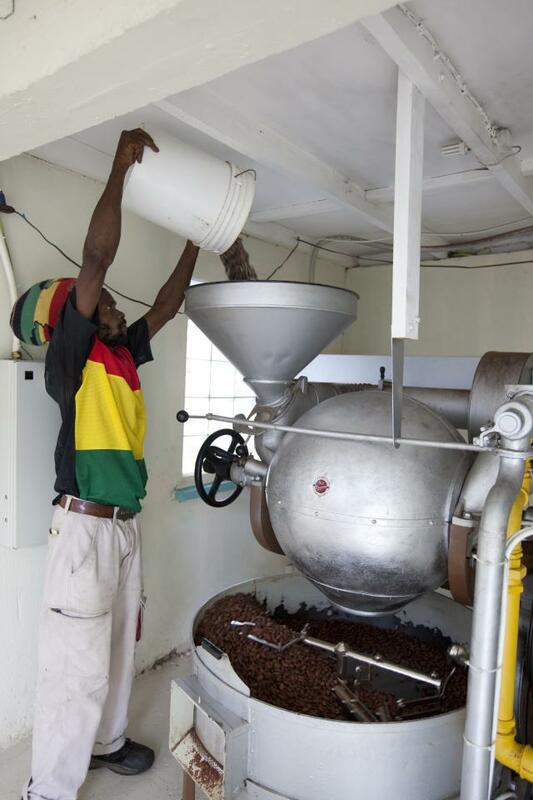 The internationally award-winning organic dark chocolate has the wonderful complex flavour of Grenada’s fine-flavored organic cocoa beans, processed carefully in small batches. 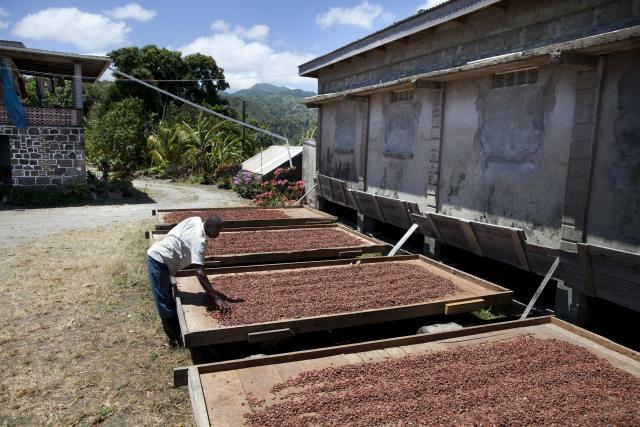 Producing chocolate right where the cocoa grows allows the co-operative to do its own fermenting which gives a real advantage in creating the finest, most complex phenolic profile from the beans. 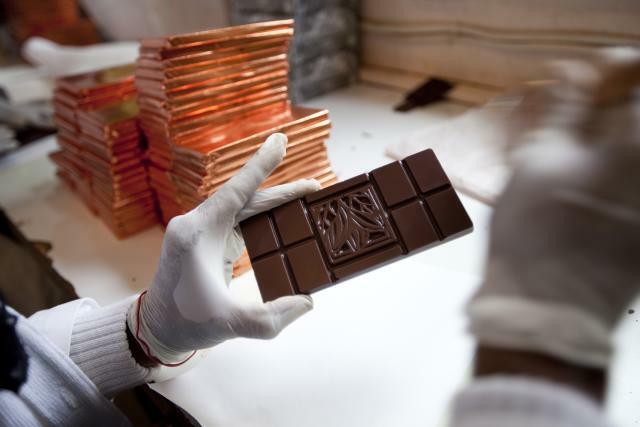 The other important factor is that fresh beans are used to make the chocolate rather than ones that have been shipped half way around the world and might be months or even years old. The GCC extracts its own cocoa butter from the same cocoa to add to the chocolate recipes, using unique presses designed by Mott and Doug. This gives the chocolate a luxurious extra richness to add to its deep intense fruity flavour. 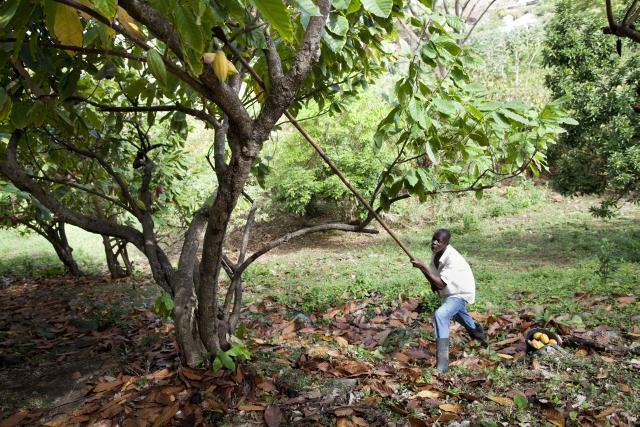 The co-operative now has over 200 acres of organic cocoa farms which was formed with the objective of ensuring that the farmers would be fairly rewarded for their hard work. 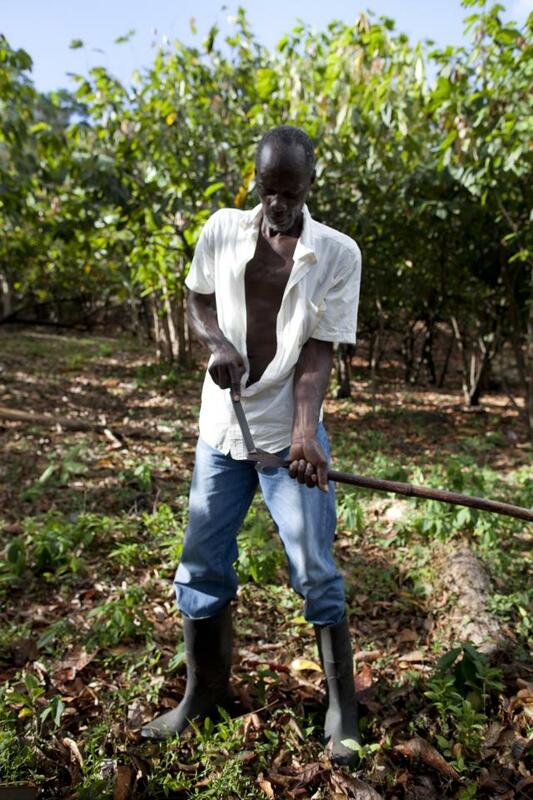 The GCC pays 1EC$ (65%) per lb more for the beans than the local price and in many of the farms of the co-operative is also involved in the management of the land as well as the planting, growing and harvesting of the cocoa. The cocoa is grown totally naturally without the use of any chemical pesticides, herbicides or fertilizers and has been Certified Organic by CERES. The minimal amount of sugar used is a fine organic raw sugar produced and milled by an organic growers’ co-operative in Brazil. 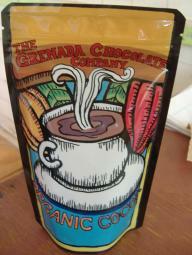 Whole organic vanilla beans grown bio-dynamically in Costa Rica provide our “dash” of vanilla. Organic soy lecithin is used as an emulsifier in extremely small amounts, because they have found that without this addition it is almost impossible to make small batch chocolate successfully in the humidity of the tropics. 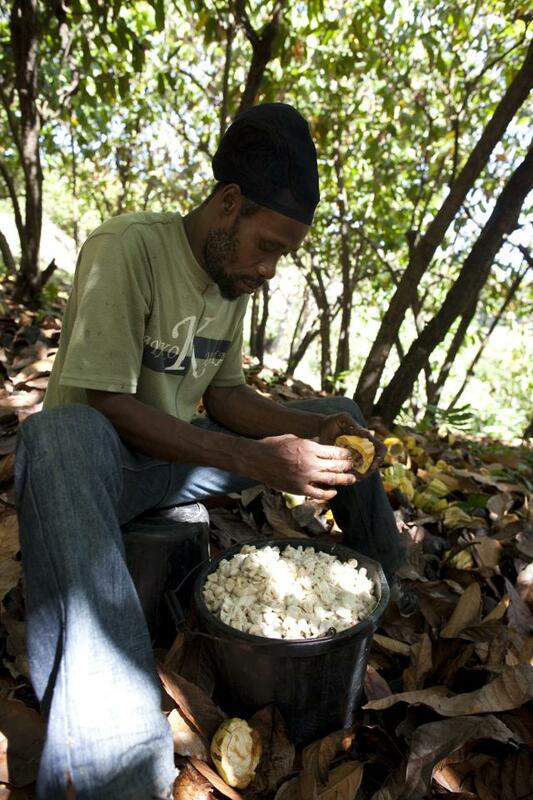 The GCC is one of very few small-scale chocolate-makers producing fine chocolate where the cocoa grows. 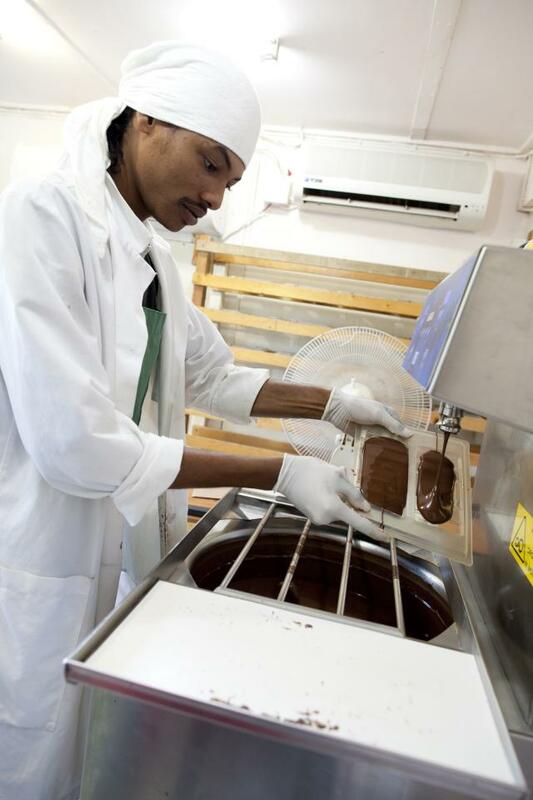 Because small batch chocolate-making is extremely rare, the GCC had to create many of their own processing methods, designing specialist small scale machines and refurbishing antique equipment to meet the requirements of their unique situation. Most of the machines were designed in the early 1900’s, harking back to a time when quality had precedence over quantity in the world of chocolate-making. Sustainability is at the core of the GCC’s values, so many of the machines were reconfigured to be powered by solar-electric energy. 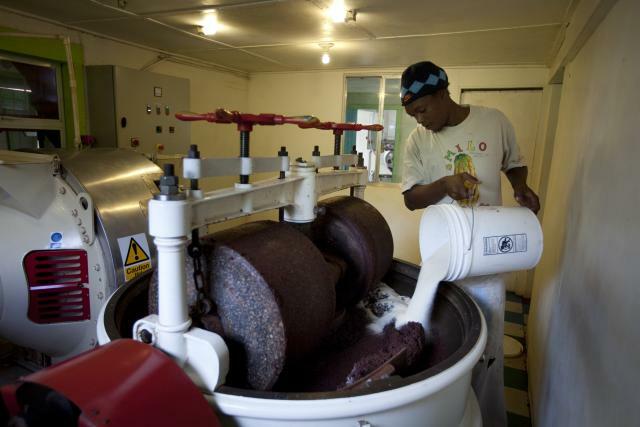 The original impetus and principle of the co-operative company was to revolutionize the cocoa-chocolate system that typically keeps cocoa production separate from chocolate-making and therefore takes advantage of cocoa farmers. 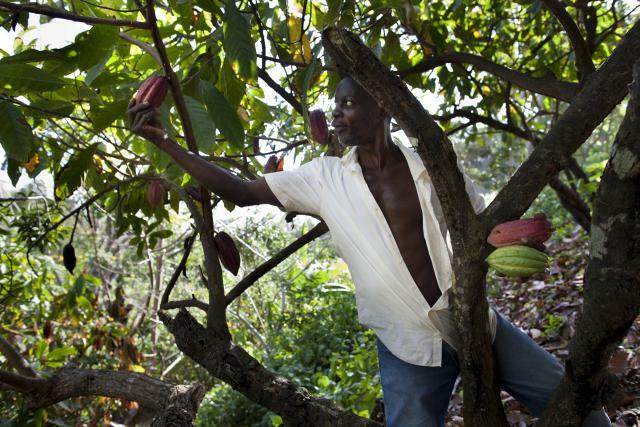 The GCC believes that the cocoa farmers should benefit as much as the chocolate-makers. In 20?? 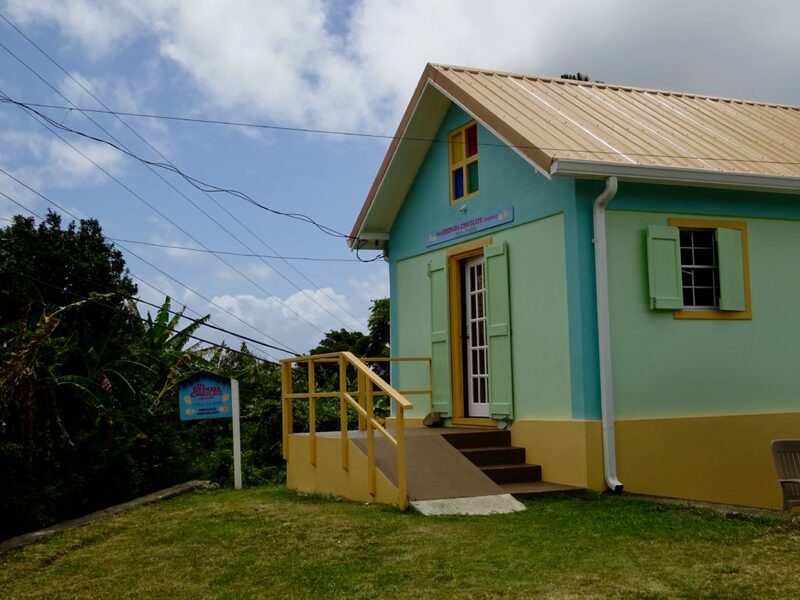 the GCC opened its own factory outlet store called Bonbon Chocolates where they produce a wide variety of delicious chocolates right on-site, using only local ingredients combining the wonderful dark chocolate with the many fruits, nuts and spices of Grenada. This charming small shop is located a few yards from our factory. We stock a collection of Bonbons that are pure, delicious, natural and healthy so it’s well worth the trek up into the rain forest to track down this little gem. 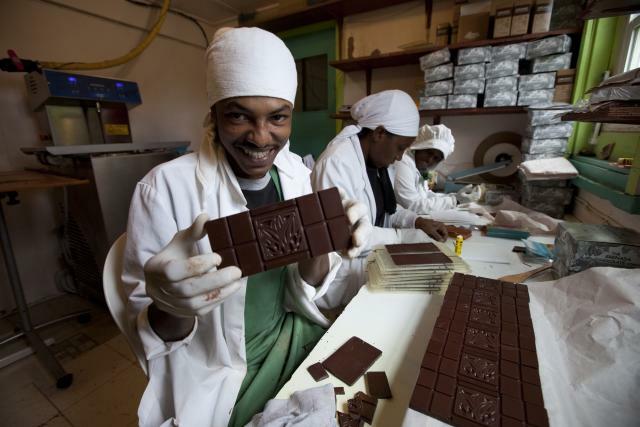 Edmond Brown is the sole surviving founder, and continues to be responsible for making chocolate every day. 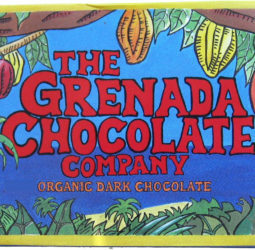 The Grenada Chocolate Company Ltd.
All GCC bars are made in our own factory in Grenada, and we do not use any nuts, seeds, or dairy in any of our recipes. We just use a a little soya lecithin to make handling the chocolate a little easier in our tropical climate. The factory is closed at the weekend and cannot normally take visits other than from accredited journalists etc. Our factory outlet shop has excellent video of the chocolate making process (as well as excellent chocolates! ), open weekdays and Sundays.Hours of Operation – 9:00 to 5:00 Please call in advance for tour. The GCC factory outlet shop, which makes a range of hand made truffles and dipped fruits is open on weekdays and Sundays!